Data is streaming in from New Horizons after yesterday’s historic flyby of Pluto — and it’s painting a picture of the dwarf planet that we could have scarcely imagined. For the first time ever, we can honestly say that scientists are shocked and baffled by a discovery. Pluto is a geologically active world. 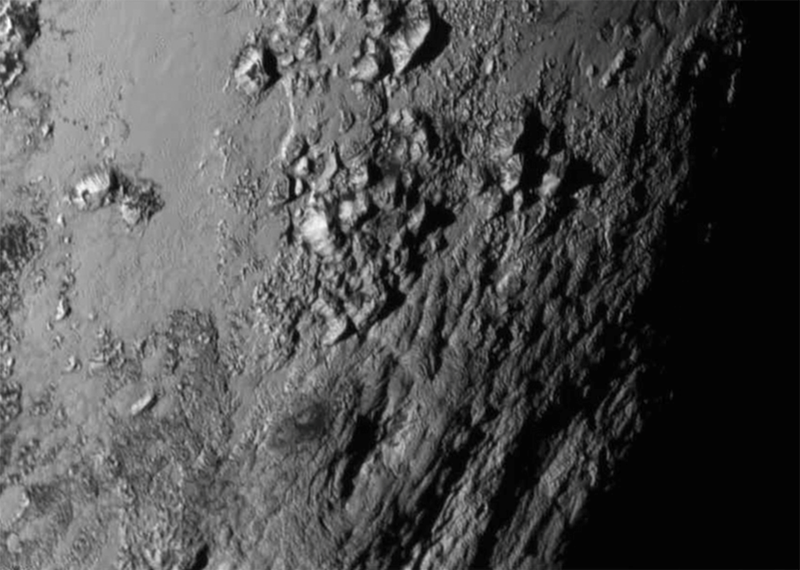 Moments ago, scientists working on NASA’s New Horizons team announced the presence of ice mountains and actively resurfacing planes in the first detailed look at the dwarf planet’s surface. Instead of a surface scarred by a history of bombardment, the first, highest-resolution image of the dwarf planet’s surface contains not a single crater. That means the surface of Pluto is young — really, really young. Cratering rates inside our solar system are well-understood from detailed observations of our own moon and other exposed bodies around the solar system. To find no craters, not a single one large enough to see in this kilometers-per-pixel resolution images of Pluto’s surface, meaning that the surface is at most 100 million years old. That’s young in geological terms, much less in planetary terms. To have a surface that young, Pluto must be an active world with processes that regularly resurface the terrain. The big question is: Where is this energy coming from? We’ve seen active processes on icy worlds before, but those were all on tiny moons locked to massive gas giants. The accepted theory was that the constant pull of those behemoths were yanking on the planets in a form of gravitational massage, tidally heating them as a constant external energy driver. But Pluto is all alone in space, and while Charon is big for a moon, it’s nowhere near massive enough to create the kind of heat necessary to make Pluto into an active world. We really don’t know what’s happening. The only plausible options we have so far is that Pluto has more of an internal heat source than we thought it did, that it uses heat more efficiently, or it’s somehow trapping remnant heat from earlier in its life longer than we think it should. Every celestial body in our Solar System has a certain percentage of radioactive material. Bigger worlds have more raw radioactive material than smaller ones, so they stay heated by the radioactive decay of those materials for longer. We know that radioactivity is a major heat source for the Earth’s interior (something that actually broke early attempts to estimate our home’s age based on thermodynamics! ), while it’s commonly accepted that Mars is small enough to have already run out of internal heat.  We expect that Pluto and Charon have the normal proportions of radioactive material. But maybe they had more heat in the first place, a higher proportion of radioactive materials for some unknown reason that we’ll be scratching our heads to figure out. Or, maybe Pluto has the normal amount of radioactive material, but it’s just more efficient at using that heat. Maybe there’s something weird going on with small, icy bodies that react differently than larger rocky worlds. It could be that only a tiny bit of heat is needed to drive surface processes when you have 3,300 meter (11,000 foot) tall mountains of ice. If so, thermodynamic activity is far, far more efficient, and we’re going to have a whole new batch of theories to test out about how landforms are created on icy worlds. Finally, Pluto might be clinging on to its heat for a disproportionately long time. One idea for this is that the ice might act as a thermal blanket from the chill of space, and the interior melted liquid acting as a heat storage device slowly freezing over time. Again, if that’s what’s going on, we’re going to have a really fun time figuring out all the consequences for Pluto and for every other little icy world in our solar system. The discovery of these beautiful mountains and the smooth plains makes tomorrow’s data downlink from the New Horizons probe even more exciting. We’re getting a stereopair to this high resolution image, a second image at the same scale from a slightly different angle that will allow us to view this segment of the surface in three dimensional relief. This really is completely crazy, and we don’t know what to think about it yet. But the most amazing part of all? We’ve got 16 more months of data on the Pluto flyby coming from New Horizons, and no idea what other surprises are in store. Our visit to Pluto, as it’s turning out, is turning out to be quite remarkable. Additional reporting by Mika McKinnon and Maddie Stone. Contact the author at george@io9.com and @dvorsky. Images courtesy of NASA/JHUAPL/SwRIby.